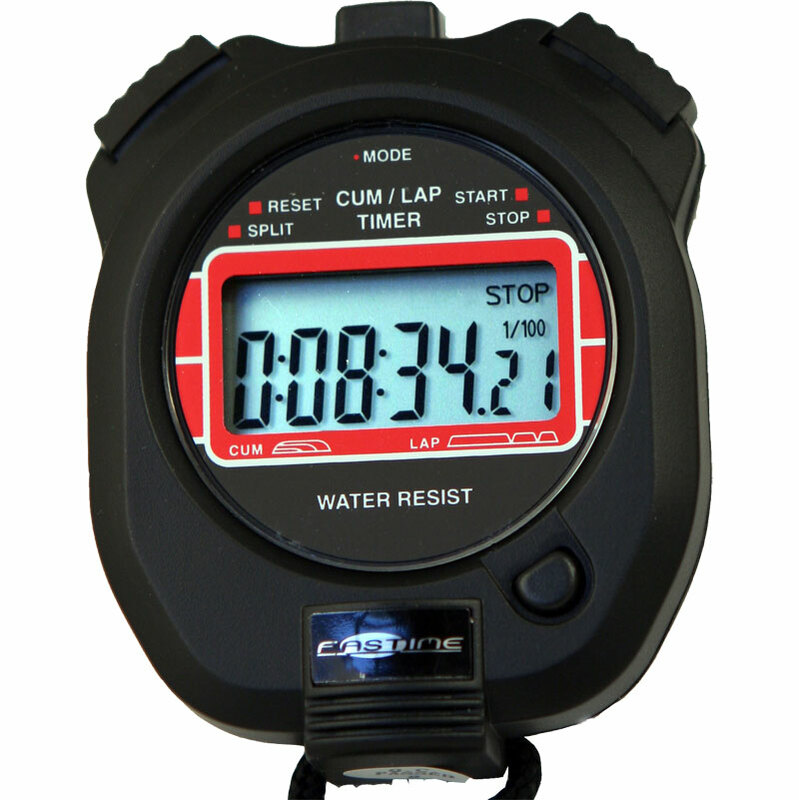 The Fastime 4 Stopwatch is ideal for circuit racing of any kind including karting, bike racing and track and field events. Suitable for professional use. ONE / TWO FAST FINISH:Press the split button to take the time of competitor 1. Press the stop button then the split button to show the time of competitor 2. Absolutely fantastic! And incredible value! Exactly what I needed - specifically, a stopwatch that doesn't 'beep' every time you start or stop it. Why pay £200 or more, when you can have one of these? Go on, you know it makes sense!